The biggest party is taking place in Stockholm this friday. 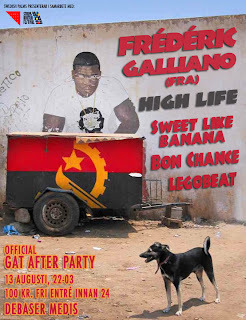 Kuduro-legend Frédéric Galliano is visiting, courtesy of Tropical Bass-defenders in High Life Stockholm. DBTY is represented by the Legobeat-boys, who will play the party as well.